I am fairly confident in my ability to perform a number of administrative tasks on both Mac and Windows computers. Unfortunately, I may be a bit too confident. Recently, while working to modify the file permissions on a secondary hard drive installed in our Mac Pro, I allowed my mouse finger to work faster than my brain and I wound up changing the file permissions on the hard drive that holds the operating system and network user accounts. As soon as I clicked the mouse button the world started moving in super-slow motion. It was one of those events that made you wish that you could go back in time for just a few seconds, just like they did in one of my favorite science fiction comedies, Galaxy Quest, where the characters have a beryllium-powered time machine. So I found myself in a predicament. With the file permissions changed on the OS X drive I was unable to access any applications or files. I was essentially locked-out of using my computer and there it sat in a sad, disabled state. "No pr oblem!" I told my wife, I figured I would just pop in the OS X installation DVD, access the Disk Utility application and set the file permissions back to their default values. So I dug through my collection of old software discs to find the Mac Pro's gray-colored OEM ("original equipment manufacturer") installation DVD and proceeded to reboot the computer to begin the process. Not so fast there mister techno-geek. I booted the Mac Pro holding the Option key (or ALT key if you're using a Windows keyboard). This start-up option will present you with a screen that allows you to select which connected device to boot from. I chose the OEM installation DVD and waited patiently for the installation application to bring-up the menu where I could locate the Disk Utility. Instead I was greeted with a 'kernel panic' screen (see image). So I booted again, this time holding the 'C' key right from the start. This option will force the computer to load the operating system from whatever disc happens to be in the CD / DVD drive. Kernel panic again... not good. The kernel panic screen is normally displayed when a Macintosh computer encounters some type of fatal error from which it cannot recover. Such errors are usually attributed to a hardware issue (i.e. bad memory, disk controller, motherboard, etc.). I was confused. My Mac Pro had operated just fine until I changed the file permissions, why was I receiving a kernel panic? "No problem!" I told my wife again. If I could not access the Disk Utility via the Mac's graphical user interface ("GUI"), I would just use another cool start-up option, holding the Command and 'S' keys while booting the computer to access a good old-fashioned command line through what Apple calls single-user mode. Soon enough I found myself at the command line and after locating the brain cells that were not killed-off while I was in college, I recalled some of the basic commands needed to navigate via the text-based interface. In a few minutes I was executing commands that allowed me to check the disk for errors (Phew! None found!) and to mount the drive to be writable. However, when I attempted to run the Disk Utility application to repair file permissions I was denied. Evidently, this operation cannot be performed in single-user mode. Uh-oh (again). Now I was getting nervous. Somehow I had to get to the Disk Utility application from the installation menu. I was stumped at why every attempt to load the installation DVD resulted in a kernel panic. I found some obscure references on the Apple support site that suggested the OEM installation disc was specific to the original configuration of the computer; so if the user had added more memory or another internal hard drive, the OEM installation may not work. The user would need to remove the added memory or storage device to bring the computer back to its original specifications. Well, I hadn't added any memory. I hadn't changed any of the storage devices. The only thing that I had changed from the as-purchased configuration was the video card. The original economy-model nVidia GeForce 7300 GT crapped-out just after the one-year warranty expired, so I had replaced it with a nVidiaGeoForce 8800 (much better!). The failed video card had been discarded long ago, so it could not be reinstalled to bring the machine back to original specifications, and besides, it had failed; it wouldn't have worked even if I had it handy. Certainly, Apple would not allow a replacement video card, one that I had to be replaced because of failure, to prevent me from using the OEM installation DVD. 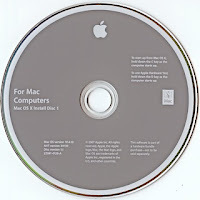 It seems that the gray-colored installation discs that come with your high-priced Apple computer are essentially worthless the moment you must replace any failed component in the device. That hardly seems fair to me. 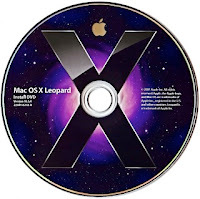 Well, I had no choice but to stop by the local computer store and purchase a OS X installation disc. Not a gray OEM version, but the full-blown, black-colored, retail version. I inserted the new DVD, and booted the Mac Pro holding the 'C' key. Presto. The installation menu displayed as expected and I was able fix the file permissions and save myself from total embarrassment. The only price to pay for my 'over-confidence' was the $130 for the new copy OS X. A cost that I blame on Apple, since the crippled OEM DVD that they provide with each new computer purchase is absolutely worthless.